Amir Hedayati Mehdiabadi joined the OI&LS program as an Assistant Professor at the start of the fall semester. He will be teaching OILS 544 Program Evaluation and OILS 440 Survey of Human Resource Development and Instructional Technology. He is an educational researcher whose motivation for research stems from his lifelong desire to improve learning and development practices. In broad terms, his research is focused on talent and professional development. His research seeks to answer the question of how we can improve ethical decision-making among professionals including engineers and computer scientists through understanding their ethical judgement processes. He is also interested in how we can cultivate educational environments to develop professionals who are more inclusive in their practice. Hedayati has received a PhD degree in Human Resource Development from University of Illinois at Urbana-Champaign. 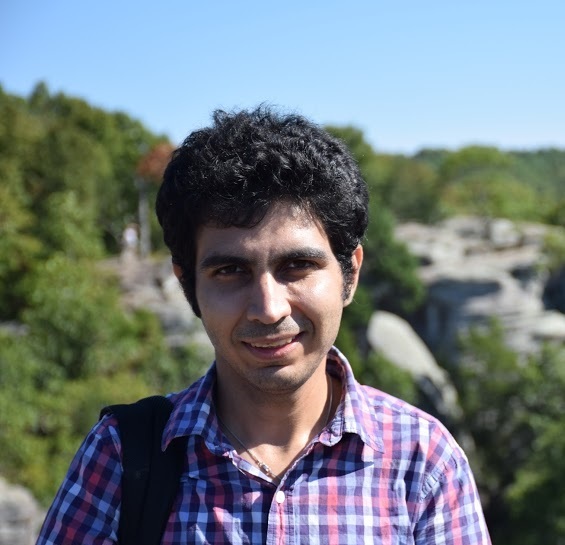 He received his BSc in Computer Engineering from Sharif University of Technology and his MBA from University of Tehran. In addition to his publications in journals such as Human Resource Development Review, he has presented his research at multiple conferences including American Society for Engineering Education, American Evaluation Association, International Congress of Qualitative Inquiry, and Academy of Human Resource Development. Hedayati is the recipient of Academy of Human Resource Development Cutting Edge Award in 2016. He has received Mukeun Lee dissertation award as well as William Chandler Bagley doctoral scholarship in 2017 from College of Education at University of Illinois at Urbana-Champaign. He plans to teach courses in program evaluation, talent development, and qualitative research methods.